It feels a little bit weird to know that today is the Long Island Half Marathon and I won’t be running it. The weather is looking good for the runners though! It’s not raining and it’s not hot. I can only hope that I get the same type of weather for the 10 mile race I am planning to run down in Long Beach Memorial Day weekend. Super hot or steady rain are not weather conditions I want for that race! In other news, I had a great week workout-wise even though it was my PMS week. Some months I notice that I am more tired than usual during my PMS week. This time however, I only noted two mornings of noticeable fatigued. 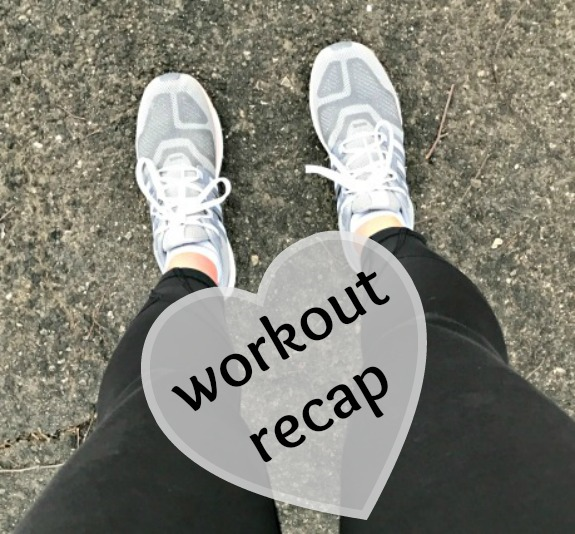 Overall, it was a solid week of outdoor running and Pure Barre workouts – no complaints! I woke up tired and sort of knowing my run would be a drag. 4 miles averaging around 10 minutes which confirmed how I was feeling! Arms & Abs < – I honestly skipped the ending part with abs because I did the plank section in the full body workout and felt like it was enough for today! I woke up tired (AGAIN) even though I went to bed super early (because I fell asleep on the couch before 7:00 pm and was woken up my by son bouncing around the living room. Not the best way to fall asleep or wake up!). I had time to run a little later than usual although I didn’t even feel like running. I headed outside anyway and told myself to try the warm up miles. If I didn’t feel better, I would go home. While I wasn’t moving too fast, I did start to feel better and interested in running. And, as it always happens, I started to find a groove when it was time to go home. I ran 5 easy-paced miles in the sunshine before coming home for a Pure Barre Studio Series workout. It wasn’t as humid out there today which was quite the relief. I set up the Pure Barre Studio Series DVD and equipment right before I left to avoid any excuses I may have come up with for not doing this workout. It’s not that I really ever skip Pure Barre, it’s that I may opt for a Tone in 10 instead of a longer Pure Barre workout. I had the time for a longer Pure Barre session and I didn’t want to miss it. I haven’t done the Pure Barre Studio Series in a while. It’s 45 minutes in length and the warm up always kills me. This time, the ending section of abs killed me too! My warm up started faster than normal so I knew I was in for a good workout. 2 miles easy + 2 miles effort + .50 mile easy + 2 miles effort + cool down. 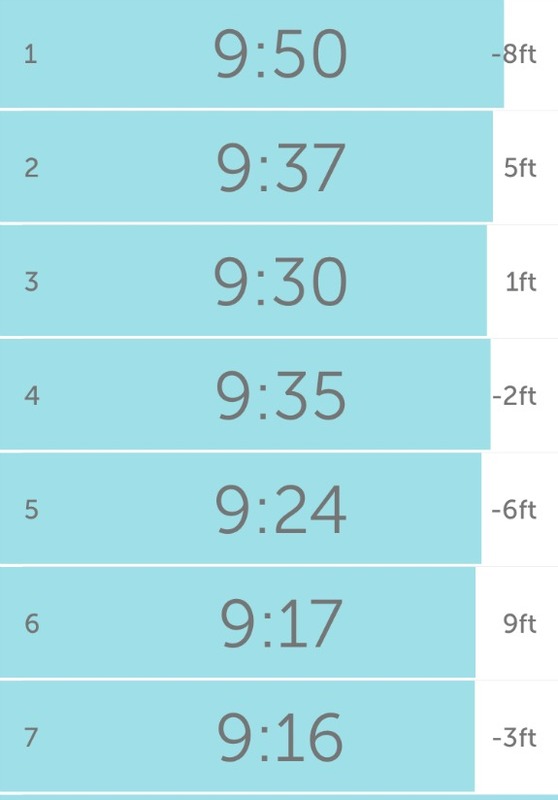 How funny that some of my splits were so super even, even with the half mile recovery thrown in?! I was able to squeeze in a quick 3 miles before the rain began. 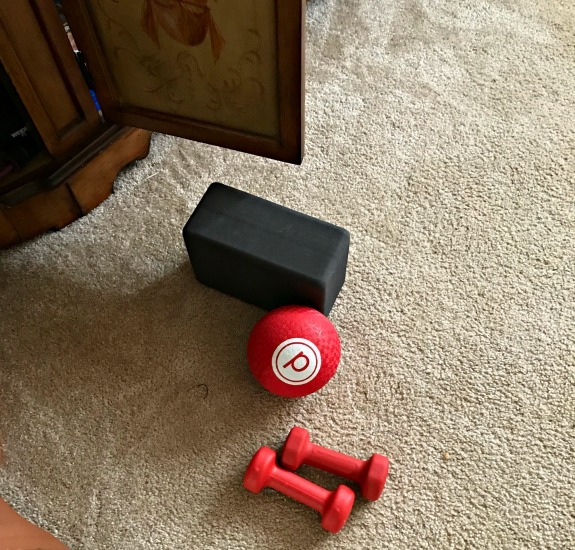 Once again, I set up my Pure Barre workout so that I could start as soon as I walked in the door. I wasn’t overly interested in this run. 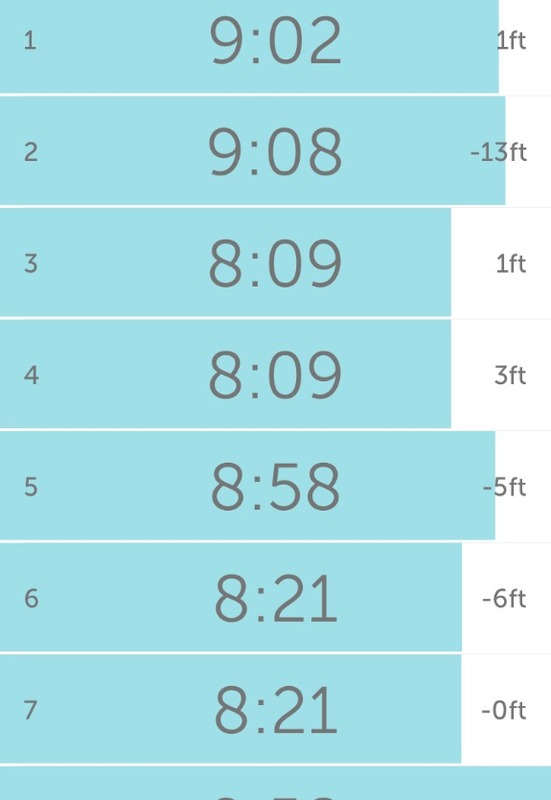 It was one of those were I daydream about calling it quits in the first four miles, tell myself to just try to make it to ten miles, reach 8 miles completely forgetting that I wanting to go home and end up running 12.
Who is running a race this weekend? I had a pretty good week too. We had so much rain on Friday morning there was no way I would have run in it! Saturday was rainy on and off so I ran today instead. I hope you get good weather for your race in a few weeks! I’ve never tried Pure Barre before, but I think I might give it a try soon. It sounds like something I would love!